Let's be honest here, Sonic's recent outings haven't been all that hot. Sonic Lost World on 3DS and Wii U was a crushing disappointment when you consider the level of hype it received, and most of the character's recent 3D outings have failed to recapture the brilliance of his early adventures. Compared to his one-time rival Mario, Sonic has starred in less must-have outings lately — although there's the chance that Sonic Boom could well change that, of course. What's the tonic for these rather dismal showings for Sega's famous mascot? 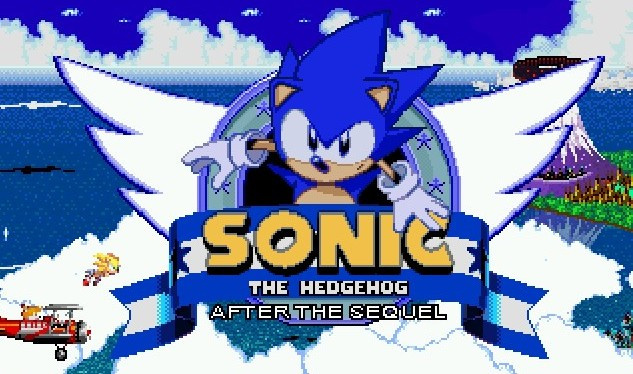 How about some fan-made titles which pay tribute to Sonic's glory years on the Genesis / Mega Drive? That's exactly what Felipe Ribeiro Daneluz — better known online as LakeFeperd — has done. A student from São Paulo, Daneluz has created three "new" Sonic games: Sonic: Before the Sequel, Sonic: After The Sequel and Sonic Chrono Adventure. Built using an open-source engine called Sonic Worlds, this unofficial trilogy of titles has so far been downloaded 120,000 times. All [the engine] had was Sonic 1 and Tails sprites so with that limitation, I thought ‘What can be done with this?’ Later, I decided it would make sense for the game to take place somewhere in the classic timeline, Sonic 1 to 3. So to make use of what I had, I decided it should be a bridge between Sonic 1 and 2 to get people's attention. A lot of Sonic music is practically just as iconic as Sonic himself. Like most 20-somethings of today, I grew up playing a lot of Sonic and Mario in the 16-bit era and among many other influences, it informed a lot of my taste in music...it's a mixture of our own original ideas as composers combined with music from not just Sonic, but Donkey Kong, Kirby and Final Fantasy to rock, jazz, disco, trip hop and so on. Amazingly, Daneluz reveals that Sega hasn't been in touch regarding his games. It's very common for such fan-made projects to be shut down by the companies which own the IP, but so far this unique Sonic trilogy has been left alone. If I had the money, power, copyright, skills and wide interest, I would resurrect the game Stunt Race FX. Nintendo is less likely to turn a blind eye to such activities — it has shut down similar projects recently — but we'd love to see the classic SNES racer get a new lease of life. What do you think of these fan-made Sonic games? Have you played any of them? Let us know with a comment. OMG! Sonic before and after the sequel is amazing. Haven't played chrono yet espically the music (even from a fanmade game it's downright epic) Kudos LakeFepard and the music guys for making these. Play em now if you have the chance! or at least listen to the music. Crushing disappointment? That seems a bit of an exaggeration. I think the main problem is the sonic people remember doesn't accurately reflect the old sonic games they love so much. I just replayed the original and sonic 2, and I was really surprised that I forgot most of the levels. Underwater, platforming, waiting for spikes to retract, etc. I would argue that most of the game isn't focused on speed. So of course new games aren't going to satisfy players. The new games copy a lot from the old games, as they are, not as we remember them. "most of the character's recent 3D outings have failed to recapture the brilliance of his early adventures." Think you'll find that Colours and Generations (Console) were great 3D Sonics, while Lost World on Wii U is a love/hate relation. @Angelic_Lapras_King @JimJam707 I wish I could see what everyone likes in generations. I liked the levels, but forced to complete those challenges just to advance to the next set of stages killed it for me. I like Lost World on Wii U. I find it fun. Lost World on Wii U is a pretty decent game. The 3DS version however is awful imo. 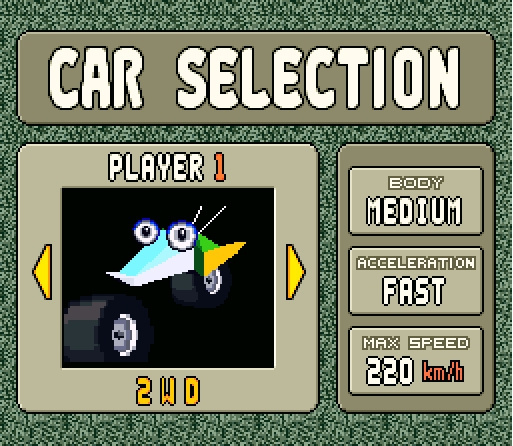 I played so many hours of "Stunt Race FX", 2WD FTW! Nintendo should really do some sort of reboot, but I fer they're only racing game in the foreseeable future is "Mario Kart 8" (how I wish it was F-Zero too!) so I will keep a look out for this talented fellow future releases. I've never heard of this fan-made Sonic trilogy until now. I'll check them out. Old-school Sonic will always rule. I am surprised SRB2 didn't get a mention that game has been in development for almost a decade and it looks quite promising? If they are smart, they would be getting this two games on the eshop. Does anyone know what program you would need to use to use this engine (or any others) because I am really interested in using this but every time I download the file for Sonic Worlds for example, it tells me I need to download a file and I have to search the internet to find it but that doesn't help. At this point, SEGA has Christian Whitehead who can easily make a brand new Sonic game with his game engine. Why isn't SEGA seriously making the Sonic we want instead of screwing it up over and over again? I had a great time with Colors and Generations but I can't say the same for Lost World. Atleast Nintendo makes games that people will obviously want to play and they atleast make great games at the very least. @notcoowl i agree with you man. Yeah sonic was able to be fast ,but that was never the best way to get through the game. Even sonic 1 had swings that you had to wait for over pits of spikes. You sure as hell weren't running over that. I personally liked games like Sonic Unleashed, Sonic Colors ,and Lost World. It's sad when these fan made games gives players what they want and the companies that own the IP don't. I might look into this later but on that note can you use a controller on this? That's the one thing that bugs me with fan made games on the PC no controller support and I can't play games like Sonic or Mega Man with a keyboard. I would like to see where Lost World was a crushing disappointment. Most be one of those people who needs their hand held to beat a game hmph. This actually looks like a good fan game! Wow that music was impeccable. Just fantastic! Sonic Lost World was one of my favorite games of last year! The production values fall short in a couple of places, but the game play is magnificent. "A crushing disappointment" it most certainly was not. What was crushingly disappointing was how many so called professional reviewers didn't bother to find out what most of the buttons do. Nintendo has turned a blind eye other than a 100% clone which is different. (They have done nothing to the numerous mod projects for NSMBW / Rom hacks / Even other almost clones of Super Mario Bros (Like the one that lets you play it as different characters I forget its name). Sega has a history of shutting it down. (See the Streets of Rage Fan Project which is brilliant). What I want is just more levels for Generations and the bugs fixed nothing else has come close for me. Heard a fair bit off talk about this over on Sonic Retro, but I haven't tried it yet. Guess I should. Sonic XG (another fan projected, unrelated to these so far as I know) is really nice, if short. This trilogy is great! I've only had the chance to play before and after the sequel but wow, it's really dang impressive. I kind of wish games like these could be picked up and have limited official releases like SFxMM did for Capcom. Put Stunt Race on 3DS. In 3D, with 60fps. I'd buy that ten times. LOVED that game. I thought Sonic Lost World for Wii U was brilliant, and better than Sonic Colors. @Gen0neD Yes to Stunt Race FX 3D. That's a classic I could get behind. Rented the original long long ago and was super-jazzed by it at the time... even though it ran like a broken lawnmower. Finally bought it used a few years ago and, after the initial shock wore off, it's quite playable. And funny. The cars had eyeballs, people! Loved the moving course elements that were different on each lap, too-- Mario Kart 8's airplane stage, actually, seems to reimagine the Arwing appearance in SRFX. I love people like this. Doing what they're passionate about and not letting anything stop them - brilliant! I want more Sonic 06 games, for the Game Grumps to play. Some really nice stuff going on in that game. Why do companies like Sega and Nintendo not just give these guys a few bucks and then use these as proper releases on eShops and whatever? They'd make an easy fortune imo. Lost World is far and away the best 3D Sonic. Now these games really capture Sonic's real potential: super fast platforming and amazing music not like SAnic LAst Worldz which only got a few stages right like those grinding stages. Hopefully Sonic Team uses the Hedgehog engine again, that Sonic Generations game play is perfect for modern Sonic imo. The sad part is at this point Sonic has been a crap game longer than it was a good game much like Metallica has been a crappy band for longer than it was a good one (for anyone that actually liked them). It makes you wonder if the early years weren't just experimentation and all the games now are the true vision of what Sonic was meant to be. Oh and if you don't want this to happen, don't put guys in suits in charge of figuring out if a game is good or not. Blackberry has the same issue, they let guys in suits run the company. Business men have no clue when it comes to design, they are good at doing business. When you are running a company and approving projects though it means you approve crap and become really good at selling it. @noctowl That's the thing I never understood about Sonic fans. Its like they all only played the first level or something and called the whole game great. I was never into to Sonic but found S4 episode 1 to be quite entertaining, yet the fans disparaged it or at least made it out to be an okay attempt. Now I will say the design of the Sonic franchise in general never really appealed to me — at least back then — was because I didn't like the fact I couldn't see what danger lay ahead due the screen limitation. You would think converting sonic in 3D would help this but then the problem is judging the speed at which objects headed toward you and reacting accordingly. I forget which Sonic introduced it but the homing attack is what made the difference and Sonic 1 and 2 definitely didn't have that feature. These games look like the 2D Sonic games I always pictured for the 32 Bit era and beyond. While I don't agree that Lost World is a disappointing disaster, I can't say I liked it much either. I own the 3DS version and really could never get into the game - I don't know what it was. The flow, maybe the level designs, the fact that I had to use the Colors Powers I didn't care for. Never heard of this project. Don't like playing games on the computer but will have to give this a spin. The only reason Nintendo took down Fullscreen Mario was because the guy had donation buttons on it. I don't see this guy making money from these three games so they're safe. Never played these games, but they look like good Classic games. Freedom Planet has pretty much caught my interest in that style of gameplay, so maybe I'll give it a try. I usually prefer Unleashed/Generations style, though, it's better tailored to speed. Eh, they look okay. I wouldn't say amazing, but it's often nice to see fan-made games. I am a little sick of the modern Sonic hate bandwagon. It's gotten to the point where sites like Screwattack look back with loving nostalgia on Sonic Adventure. You know, that game everyone hated when it came out because it wasn't exactly like Sonic's original outings? It's all come full-circle. @PrincessSugoi A SPIN!!! AHAHAHA!!! Get it? My favorite sonic game will always be Sonic Heroes, so many great memories with that game. Sonic Adventure 1&2 tie for second favorite..
Hmmm. Not enough random death pits. Also needs at least 12 more side characters. Only Nintendo life staff were disappointed. Many sonc fans welcome the change in Sonic Lost World. I found it better tham previous 3D sonic. Sonic 1 was not about speed as much as exploration. Sonic Lost World stays true to the earliest root of the sonic history. @Janfeae Because everyone loves spending more than half of the game playing as characters that aren't speedy at all. That crap was absolutely NOT the game I wanted to play. Especially the uninspired bosses. Who thought putting Robotnik in brightly colored blobs instead of machines and having you chase him down like in Sonic Advance 2 was a good idea?! Because I'm here to say it wasn't. Also, three levels that are 100% underwater? Terrible. Underwater physics in games like these are generally terrible, which is why when you play the actual classic games, you see that they kept it to a minimum with even the few underwater stages not being 100% underwater. But in this game, three levels full of slow walking, slow jumping, and lots of boredom. The "dodge spike things in the current" parts were bad too as they didn't put you far enough to the other end of the screen to have enough time to move out of the way. @Janfeae Sonic 06 IS Sonic Adventure 3. They just didn't call it Sonic Adventure 3 is all. @noctowl I dunno, I always remembered that the old games were about platforming and not just about holding left and watching Sonic run really fast with the help of speed boosters everywhere. On that note, anyone looking for a laugh should check out Sonic 2 Dimps Edition. The fan game looks nice but some parts have hard to spot platforms and weird spikes in that cave thing are weird. I've played "Sonic Robo Blast 2" on the Sega Dreamcast a few years back. It's a 3D platformer based on the Doom Engine and it actually wasn't all that bad. It wasn't as good as, say, Sonic Adventure, but for what it was (a free 3D Sonic game), it held up really well against other 3D Sonic games.